Last Thursday was Amit’s B’day!! 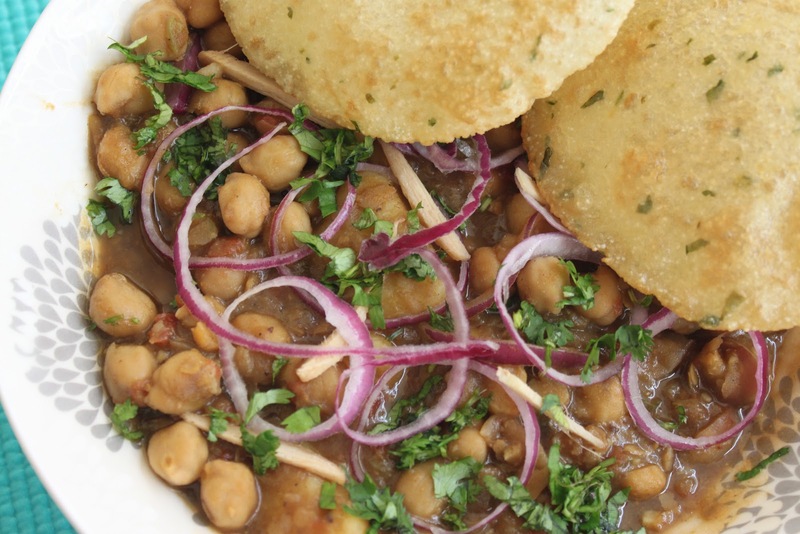 Chole bhature (or chane-bhature) have been the husband’s all time favorite. Year after year, the menu on his birthday party has read the same – Chole bhature and gulab jamun. He can keep having them without any let down in the excitement…the mere mention of this dish makes him drool. Since the time we have been married, I have tried real hard to impress him with several variants. His benchmark was the one at Nagpal’s in Amar Colony….most South Delhites will concur. And I, was determined to beat Nagpal’s. In my strive to find THE perfect recipe, I read, discussed, searched and tried a dozen till I found THIS one (cooked by my friend’s mom). I decided to give it a shot and………… this one, did not just get his approval, but also extracted a shrill of joy that I had always longed for!! Hurray! Finally! This time on his birthday, yet again, the menu read Chole Bhature. Here is a very special recipe of Pindi Chane which you are bound to love coupled with my mom’s amazing recipe of instant bhature (you can knead the dough and use it instantly; it does not need to stand). The bhaturas are superbly delicious and light on stomach, and I bet you can’t stop at just a few…. Garnish with coriander leaves, ginger julienne and green chilies; you could add raw onion and squeeze a lemon when you serve THE Pindi Chane! Thanks for your comment and I am happy that you liked it. You're an expert yourself and coming from you, it's a huge compliment.Plz share one of your special recipes with me and we could do a guest blog. Tried the instant bhatura recipe with my so-old cholle recipe…worked out great and quick!!! Yumm! Thanks Daljeet, it's wonderful to hear good words. You have up try this pindi chane recipe and I promise you'll love it. Hi Ishita..do we need to mix potatoes in Bathure dough ? I have never tried that option before.